You made the ultimate sacrifice to serve and protect the people. Rest in peace brother. When will this madness STOP!!! 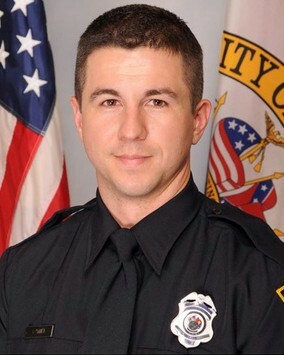 We JUST buried an officer yesterday here in Birmingham, Al. to gun violence!!! RIP, Officer Tuder. Praying for you and your loved ones. So sad. What a tragedy. Your service and sacrifice are appreciated. Rest In Peace, brother. God bless you and your family. RIP Officer Tuder. So sad to hear of another fallen Blue Brother. Sincere condolences to his family and loved ones. May God give them strength through this sad time. Salute and Respect. Very sad, may you Rest In Peace. Rip Officer Tudor, thank you for your service.